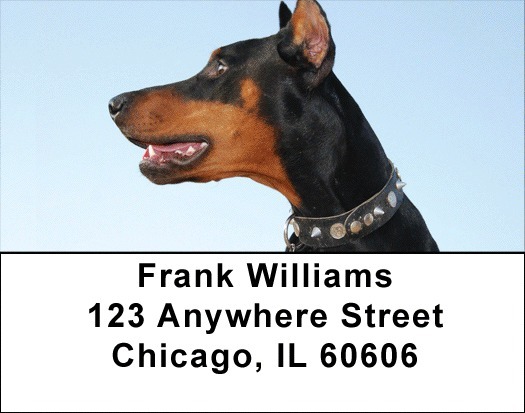 "Dobermans Smile Address Labels" product is already in your cart. Dobermans Smile Address labels show a rotating series of four images of Dobermans in several settings. These photographs feature the Doberman faces. Dobermans were developed around 1890 in Germany by Herr Doberman. He wanted to breed these dogs specifically for protective purposes. Upon his death, the breed was given his name to honor his memory. Dobermans are still used for protection and police work over 100 years later. Dobermans Smile Address labels are self adhesive. Matching checks are also available.